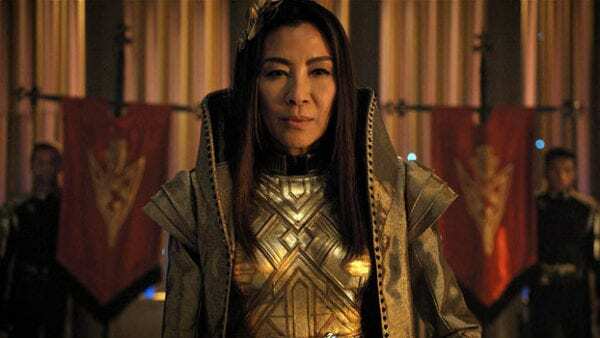 As part of its Star Trek expansion, CBS All Access announced last year that it was working on a Section 31-themed Star Trek: Discovery spinoff to be headlined by Michelle Yeoh’s Mirror Universe Galactic Emperor-turned Starfleet operative Philippa Georgiou. However, it seems it’s going to be a while before we get the series, as CBS Television Studios president David Stapf has revealed that the show is “a good couple of years away”. Apparently, the plan is to begin production after season three of Star Trek: Discovery, which will begin shooting this summer, with Yeoh returning to the cast. The as-yet-untitled series is one of several Star Trek projects in the works at CBS All Access; a Patrick Stewart-headlined Jean-Luc Picard series is gearing up to begin filming ahead of a late 2019 premiere, while there are also two animated series in the works, one at Nickelodeon and the other a comedy entitled Star Trek: Lower Decks.